There aren’t many words to describe this unique moment. After a successful whitelist sale, we sold out our public sale and reached our 4.9 M cap in only 18 minutes and 14 seconds. 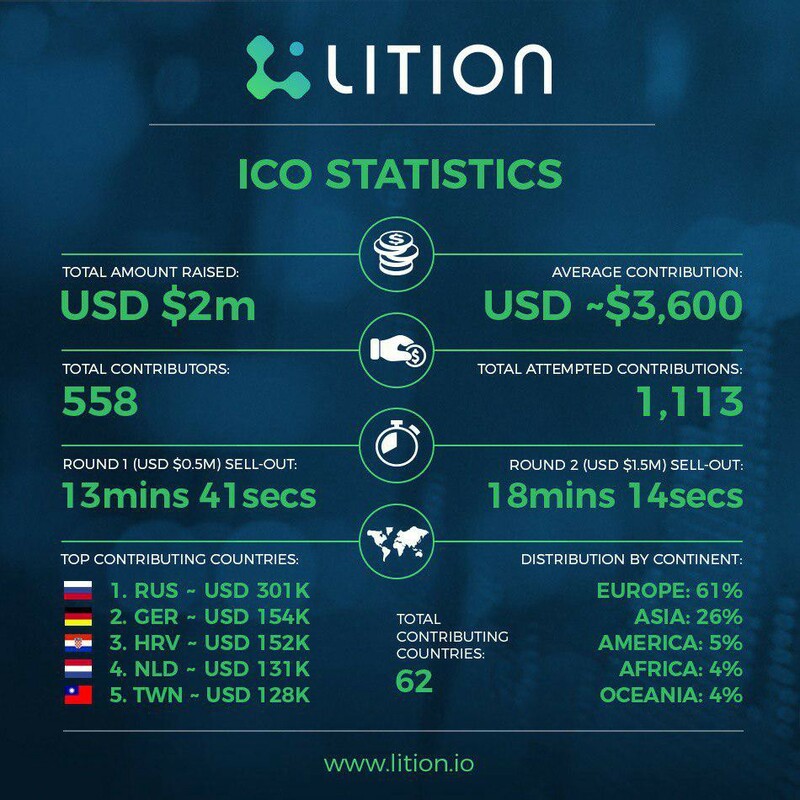 Again, Lition has proven that the good “old school” ICOs are still a valuable tool to raise funds. A big thanks to every person that was involved in building such a beautiful project and making Lition what it became today! Of course, the whole journey that began in early 2018 is not finished yet, with this great achievement, thanks to our community now we have the capabilities to transform even faster our vision into reality. Exchange: We are in negotiation with exchanges to list Lition tokens as soon as it is feasible. We are looking for solutions that satisfy our professional criteria, we will make sure to give our community a quality platform where to trade. Business Development & Tech: Soon we will announce further key partnerships, our focus is now slightly shifting on pure blockchain related projects as we think it is very fruitful for the further development of Lition’s blockchain. Lition’s Energy Exchange is growing day by day, and the next step is to integrate the same technology in other energy provider’s systems. Marketing: Our strategy so far has been proven successful, therefore we will continue in this direction with some new goals. As our community so far has a strong western background, we will start to pay more attention to the Asian market by building a solid marketing strategy. Again, thanks to all contributors and all supporters that made this journey unique. Stay tuned for our token generation event, soon we will update you on this regards.